We are delighted to introduce Andy, the new member of staff who recently joined the Kinspeed Support Team. We managed to squeeze a few moments into his diary – below you can find out more about Andrew, what his background is and what a typical week at Kinspeed is like for him. I am highly experienced in providing accounting systems support with a variety of packages. 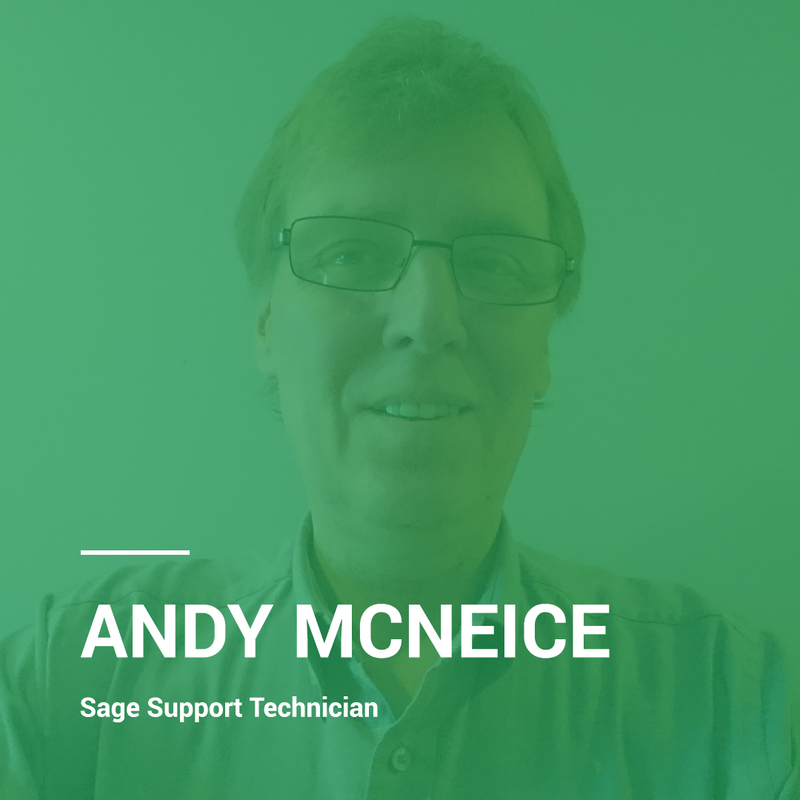 I originally started supporting Line500 on Unix and later MMS, moving onto a small Sage Reseller working on Sage 50, then to the Access Group supporting their accounting system with Holbrook IT, next i worked as a Tester on Access Supply Chain ERP and back to support on Microsoft Dynamics NAV. Leading me to my job now, as a Sage Support Technician with Kinspeed. A typical day at Kinspeed would be talking with customers on the phone and advising on issues with Sage 200, Sage 50 and associated software packages. Dealing with support cases raised by email. As well as Installing Sage, Draycir & Kinspeed bespoke development software, upgrading software, report design and raising cases with Sage support.